The historic significance of the Wind River Business Park was directly related to its role in the development of the timber industry in the Pacific Northwest. The site includes buildings and landscapes that represent the early history of the Forest Service, the architectural style of the Civilian Conservation Corps (CCC); the first Arboretum in the Pacific Northwest; and one of the original Business Park fields. 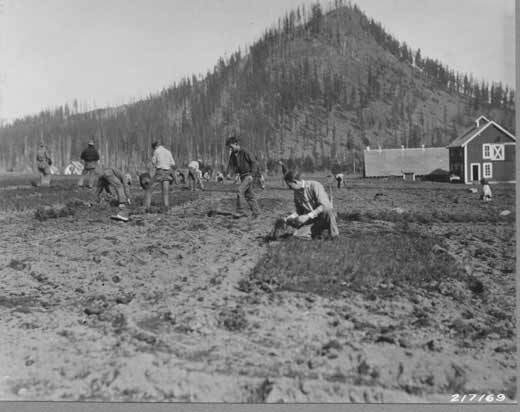 Early experimental work at the site aided the Forest Service in developing and refining timber practices; this tradition of experimentation and scientific exploration is still represented on the site today by the forest research done through the Pacific Northwest Research Station (PNWRS), the Wind River Experimental Forest, and the canopy crane operated by PNWRS and the University of Washington. Historically, the site was used for fishing, collection, foraging, and hunting by Klickitat and Yakama Indians. Non-native settlement of the area began in 1850. The primary land use was the harvest and transport of timber, which has been an important part of the regional economy and culture ever since. 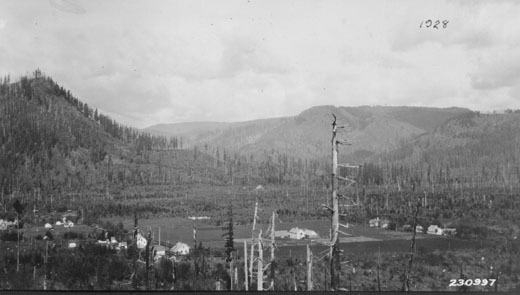 In 1903, a Business Park was established at the current Wind River Business Park to reforest areas of the region that had been badly damaged by fire. It was at this time that forest managers realized that logged areas would also require reforestation, if timber was to succeed as a renewable resource.